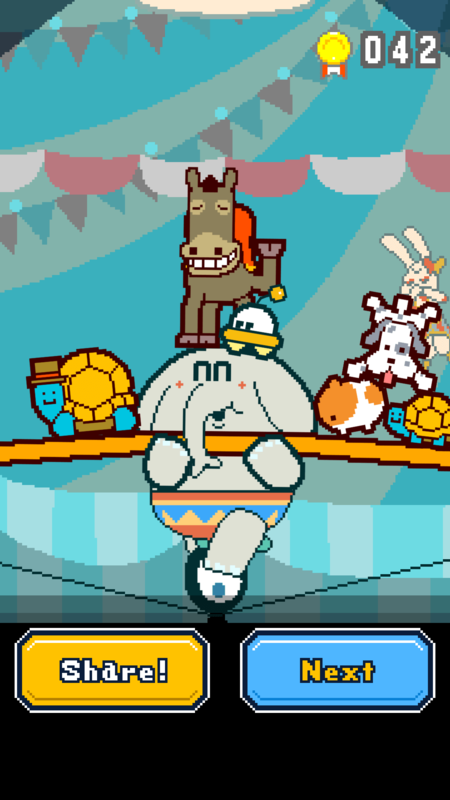 Part Time UFO is a brilliant physics-based puzzle game from HAL Laboratory. The game has a very hilarious and unearthly (pun intended) premise. A flying saucer lands on Earth and there’s no way out. The poor little alien needs to survive and the only way to do is to look for jobs to earn money. Thankfully, his craft can lift objects using an indestructible claw. You will have to help him complete jobs so that he can make decent money. So what if you haven’t finished a task on time? You can always replay the same job again and again and again. Stop and try again even though if you are in the middle of the game and you think your task won’t finish on time or you have messed up while arranging objects in a specific order. Just tap the pause button on the upper-left corner of the screen and press “Try Again” to start from scratch. This is a game of skill, and the only way to win is to replay the same incomplete job. This way you will get more practice and be familiar with the task (and the objects you will be moving), which will help you to finish it in the second or third attempt. Part Time UFO’s jobs are not as easy as they seem to be. Each task has three objectives and if you complete them you will get medals and money. Since you can replay a task umpteen times, you don’t have to try completing all three objectives in one go. You can focus on finishing one objective at a time. Of all three goals, the easiest one would be completing a task before the timer runs out. This objective is denoted by a vintage stopwatch icon, which you can clearly see in the list of objectives that appear on the screen when you tap a task. This objective is easy to complete because you get bonus seconds when you drop key objects into the right place. When you finish a job in time, you will get a medal. The medal you receive will be permanent and won’t be snatched from you if you replay the same level. Once you receive it, try to focus on the second easiest objective and complete it. If you finish it, you will get another medal. 3. Which Control System Should You Choose? It’s is a physics-based puzzle game so you must be extra careful while controlling the flying saucer as real-life physics play out when you move the UFO and use its claw to lift objects. While you can select any one control system out of two, make sure you hold the device with both hands and use your thumbs to move and pick up objects. Virtual joystick controls are pretty slick, so I would recommend selecting this control system if you want move the flying saucer smoothly. Be careful while dropping tall objects, especially when placing one on top of the other. When you place a long object on another object, slowly move your flying saucer down until it touches object’s surface. Don’t tap the orange button yet. See if placing it would make the object below it go off balance or wobble too much. If the object does not sway much or move, you can safely assume that the entire structure won’t fall on the ground. The museum and high school tasks are perfect playgrounds to practice placing objects on top of each other. Once you have mastered the museum job, it would be pretty easy for you to complete similar balancing tasks. You will earn bonus coins if you complete a level before the clock hits zero. Just check which objects are flashing and then quickly move them to the desired spot before the timer reaches zero. The faster you do this, the more coins you will earn. You may also try moving things that are not flashing, as in some levels. Bringing them to the correct location will fetch extra coins. Now that you have received fat paychecks for your commendable job, it’s time to invest the money on some cool gear. It will help improve your flying saucer’s performance and movement. You will have to go to shop to purchase hats and costumes. 1. Propeller Hat: When you grab an object, this hat will make you float up. You won’t be pulled down when lifting a heavy object as you will be floating up. 2. Martial Arts Fighter: Wear this and objects won’t sway when you pick them up. Costs 3000 coins. 3. Stuffed Doggie: Gives a tiny speed boost to your flying saucer and costs 5000 coins. 4. Sailor Cadet: The claw moves much more quickly when press the orange button. Can be a time-saver! You will have to spend 5000 coins to get this costume. 5. Fishing Boat Flag: Can be used in fish levels. You will catch fish quickly and they won’t fall off your flying saucer’s claws. Those were a few must-buy Part Time UFO costumes and hats that will help you finish jobs faster. 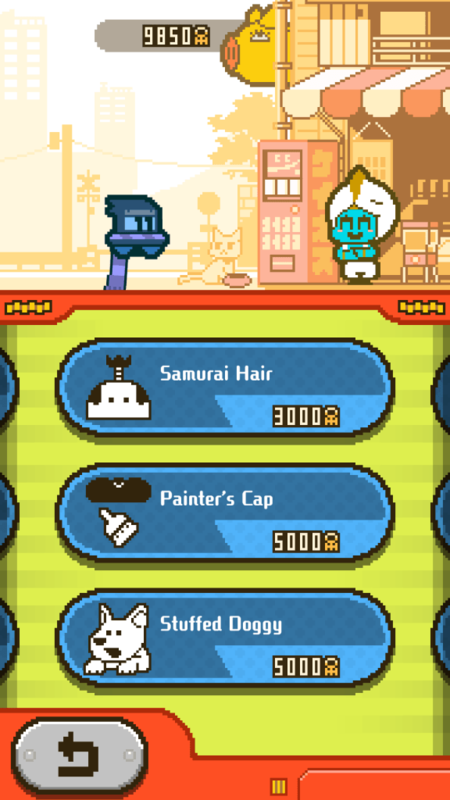 You can easily switch between costumes and hat by tapping the pink button, which is located beside the “shop” button. You can “change” outfits or remove if you don’t want them.